This brooding and mysterious songstress is, without a doubt, one of the most ferocious contenders to come on the scene for quite some time. With the explosion of her EP, Room 93, and the unbelievable popularity of “Ghost,” in particular, Halsey is set to start a serious storm. There’s been nothing but excited buzz about the young woman since Room 93 dropped, and that hype will likely heighten to a frenzy. With an upcoming tour in the spring of 2015 and the undeniable success of Room 93, now is certainly an optimal time to put out some new music. 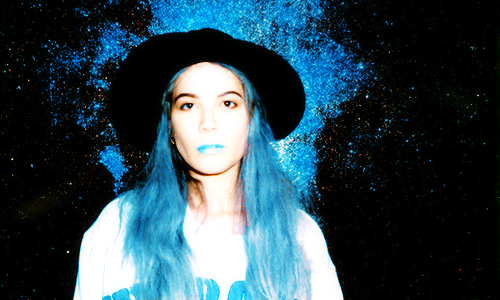 Halsey’s sound, a haunting mash-up of artists like CHVRCHES, Banks and Lorde, but with a slippery darkness all its own, is a welcome addition to our music libraries. We’re certainly doing some major lusting over a full-length from the gritty indie pop artist – and, let’s be honest, we’d love to see another badass female topping the charts. Remember when Florence Welch went basically silent for three years after Ceremonial, left all of her fans hanging and then out of nowhere announced a 2015 concert, causing the internet to gasp all at once as the eternal goddess herself came back to claim the throne? Us too. 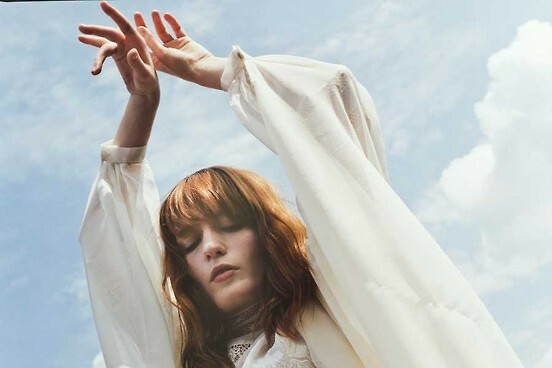 If there is anything, and we mean ANYTHING, music-related to get excited about this year, it is Florence and The Machine’s forthcoming third studio album. Sure, we have had some stellar new women come on the scene. Now, it is time for the spotlight to shine back on the true majesty herself. In the past 10 years, no artist has come close to the lyrical genius or vocal range that Florence Welch effortlessly executes. If there’s anything the airwaves need, it’s not a manufactured pony-tailed machine yelling to the top of iTunes, but a celestial songstress commanding emotions and orchestras naturally with the flick of her wrist. There’s currently no word on who or what will be on the album, but let’s be real, you’ve already preordered it. 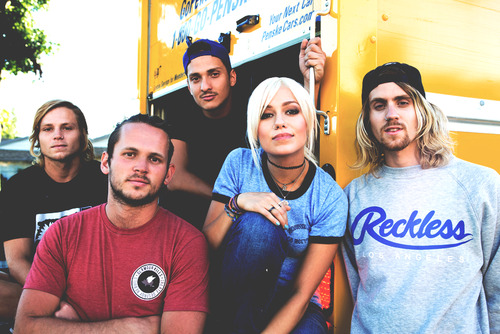 Tonight Alive have basically been touring non-stop since the 2013 release of their last album, The Other Side, and are finally taking a break to bring some new music into 2015. In addition to playing Vans Warped Tour 2013, the band has shared bills with the likes of Taking Back Sunday, You Me At Six and Mayday Parade, among many others. If the new album is as awesome as The Other Side, they’re sure to find themselves touring—and probably headlining—with even bigger names. The British Invasion will most definitely continue into 2015, as Ellie Goulding has announced her third LP to drop this year. After touring (seemingly) non-stop for two years on the monumental success of Halcyon, it is pure excitement in the Goulddigger world as fans begin to prepare their ears and hearts for whatever magic Miss Goulding is conjuring. Like Hermione’s wand and bottomless bag, Goulding’s magic stems from her voice. Her undying love for electronic and classical music has been her signature sidekick to her icy falsetto, so it is safe to say we will see those elements on this record. Not only that, but Joel Little (major help for Lorde’s Pure Heroine) will be joining Goulding in the studio. Not only is Goulding already hard at work making music, she’s hard at work making a different album. Different? What does that mean? No, she has not taken up rapping or developed a talent for the banjo. In between shows and collaborations, Goulding is in the studio working in her “new direction”. Could be up, could be down, could be to McDonalds, but like the triangle on her arm, it is best to embrace and get excited for change. Demi Lovato spent most of 2014 touring to support her latest album, DEMI, so it’s about time she released some more of her signature catchy and emotional tunes. Lovato and her manager have been reassuring fans there will be new album coming this year for a few months now – and since 2015 is here, we’re all more than ready. Creating the follow up to Demi will be quite the challenge. Her last album was full of chart-toppers like “Really Don’t Care” and the infectious “Heart Attack,” just to name a few. Lovato has already started on the creative process behind creating her fifth studio album before continuing her world tour in Australia. We have no doubt that Lovato’s fifth studio album will blow everyone out of the water. She’s had a pretty big break from touring to work on the album, so it’s obvious that Lovato’s working hard to please her fans and gain some new ones. Not to say that anyone is tired of DEMI – we’re certainly not – but it will be exciting to get another glimpse of her life through some consistently hard-hitting emotional songs on a new album. 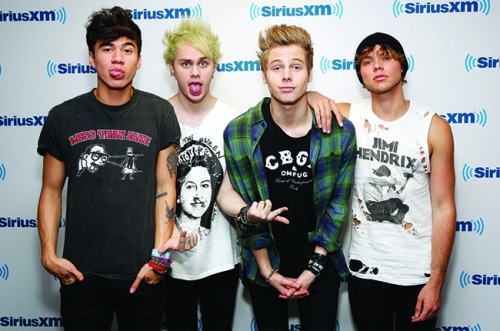 If 2014 is any indication of how 2015 will go; 5 Seconds of Summer will take the world by storm yet again. Although they’re starting off the New Year home in Australia before the beginning of their Rock Out With Your Socks Out Tour, the 5SOS boys are primed to have a big year. After writing and working on over 100 songs for their debut self-titled album, the band is starting to work on album number two. Hemmings, Hood, Irwin and Clifford have already proven they’re serious about giving their fans the best songs and live performances possible which begs the question, what’s next? The band has risen above the title of “opener for One Direction” and become pop culture icons in their own right. It will definitely be hard to top their first album and everything they’ve accomplished this past year, but we’re confident it will meet everyone’s expectations. It will be interesting to see how the experience of touring with the biggest boy band in the world and performing at the VMAs has influenced 5 Seconds of Summer’s music. Seeing the progression of their music and live shows from their formation in 2011 to present day is staggering. We can’t even imagine how much more they can grow in 2015, but we’re excited to see what 5 Seconds of Summer has coming. 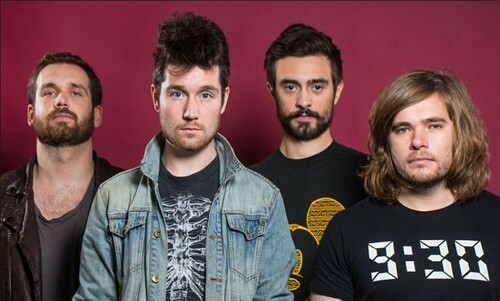 Probably some of the best news in recent months is that Bastille is aiming to release their second album in 2015. Though Bad Blood has basically found its way onto every playlist we’ve made, one full-length release simply isn’t enough. Bastille is a band filled to the brim with talent, capable laying down tracks that manage to be both radio-friendly and evocative, all at once. Their most widely known track, “Pompeii,” just scratches the surface of Bastille’s capabilities, showcasing the band’s ability to create enormous choruses and a complex, luscious sound. Within the space of just one record, Bastille has managed to magic into existence a sound that is undeniably their own, characterized by group vocals, haunting lyrics and a mesmerizing ability to sink deep into the listener’s bones. With word from front man Dan Smith that the new album will incorporate more guitar work and a touch of electronica, we could not possibly be more excited for Bastille’s 2015 drop. In 2013, Fall Out Boy came back in full force and reminded us of the giant void they left when they were gone. 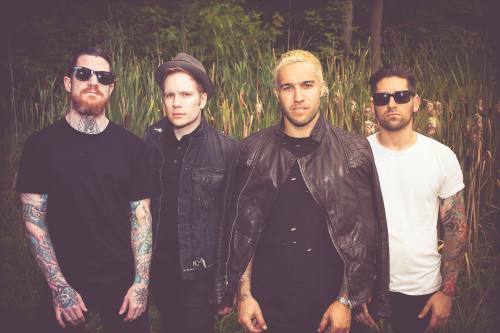 After a huge year with Monumentour, the Fall Out Bird game and countless appearances everywhere, Fall Out Boy are releasing a new album for 2015. The first single, “Centuries,” was already released in September, taking the radio by storm, and the new album’s preorder quickly got into the top 10 albums on iTunes. If that’s any indication of how 2015 will be, Fall Out Boy is going to be bigger than they’ve ever been. 2013 was the year The Summer Set really blew up. Their third and best album to date, Legendary, was released, and the band won Macy’s iHeartRadio Rising Star Competition, snagging the opportunity to perform at the iHeartRadio Music Festival. 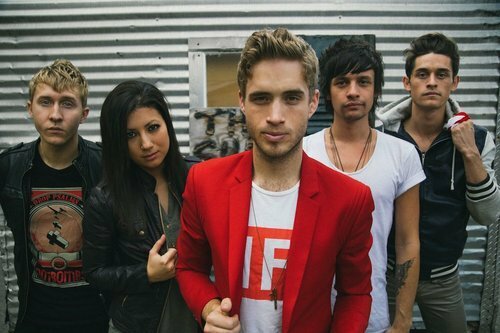 The Summer Set also had the chance to play at other Macy’s Events, including the Thanksgiving Day Parade. In addition to that, the band started the Half Moon Kids community and toured extensively, including the whole 2013 and 2014 Warped Tour. In the midst of all the excitement, they managed to start working on a new album for 2015 that is going to somehow top something so legen – wait for it – dary. It has been far too long since our four favorite guys from Baltimore have put out a record. 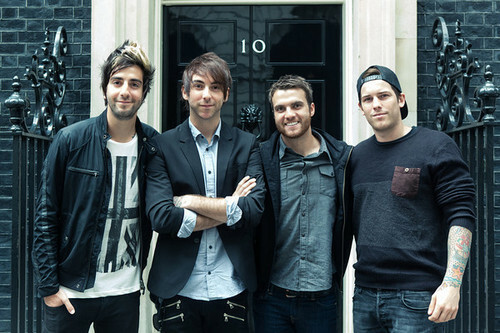 Since Don’t Panic’s 2013 release, we have been anxiously awaiting more music from All Time Low. Lately, the group has been on tour nearly non-stop – as usual – but Alex Gaskarth recently announced that the band is busy at work on a new album. Though it’s crazy to think All Time Low will be putting out their sixth studio album, we can’t wait to hear what the band’s come up with this time. Their music has grown and changed since Put Up or Shut Up all those years ago, and it seems All Time Low just keeps getting better. Without a doubt, the upcoming album will be another amazing pop/rock hit.